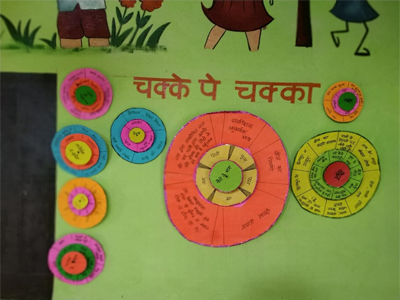 Be it English or Science, teacher Geeta Yadav of Government Primary School in Fatehpur district has an innovative way of teaching every class, every chapter, every session through various games and activities, making education simple, joyful, interesting and the learning process more engaging. 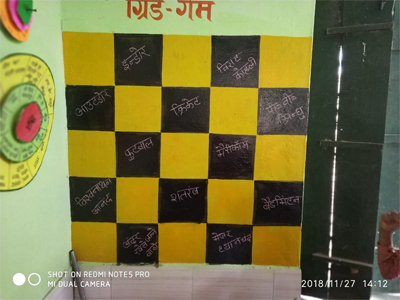 Her innovative room in the school, where she takes all her classes, is always brimming with activity for her idea of a good classroom environment is that one where students actively take part in the teaching–learning process and are able to use their reasoning and creative skills. The room itself is very unique, something that is very rarely found in government schools. Its walls and floor are painted with different colours, patterns and games such as snakes and ladder, grid game, etc. A wheel game is also made with different colourful papers on one side of the wall. All these games are incorporated in the daily lessons of students, who have developed an interest in studies and are more than eager to come to school. “I have seen an immense change in students. Those who used to hesitate in coming to school or were scared of the Science subject are now able to understand even the complex concepts. They are more responsive in the class and their learning skills have improved,” explains Yadav, who teaches Grades 3, 4, and 5. 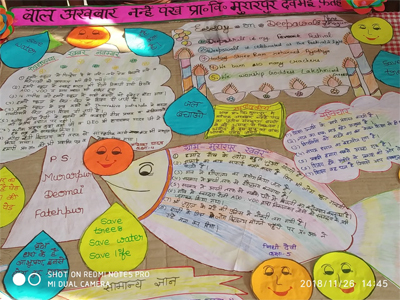 The teacher was motivated to introduce the concept of experiential learning in her class after attending the training programme of Innovative Pathshaala in September 2018. It is an extension of nationwide mass teacher outreach initiative Zero Investment Innovations for Education Initiatives (ZIIEI). Innovative Pathshaala is the introduction of different games and activities in the existing school syllabus, converted into evolving experiential learning content. It is compliant with the National Curriculum Framework 2005 and mapped with state-level curriculum for the whole academic year to impart value education through life skills and achieve learning outcomes specified by the Ministry of Human Resources and Development. “I have been implementing the concept of Innovative Pathshaala for the last over 2 months now. I was earlier applying simple innovations now and then but was not sure how to incorporate them in the syllabus on a daily basis,” she said. 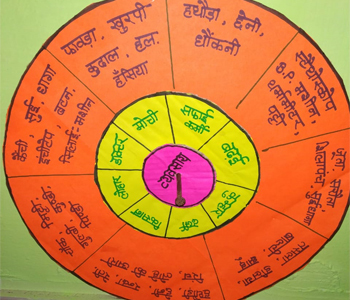 Yadav tells us that the training provided her with the necessary tools and techniques for making a lesson plan for each chapter that helps her decide whether a particular topic has to be taught through a game, role play or concept mapping. Noting that experiential learning also promotes inclusive education, she said that this concept can be a big leap in bringing about a big transformation in the quality of education in government schools. Innovative Pathshaala started as a pilot project in Uttar Pradesh in September 2018. Till now, 2,200 government school teachers in 64 districts of the state have received training to implement experiential and experimental training in their classrooms.